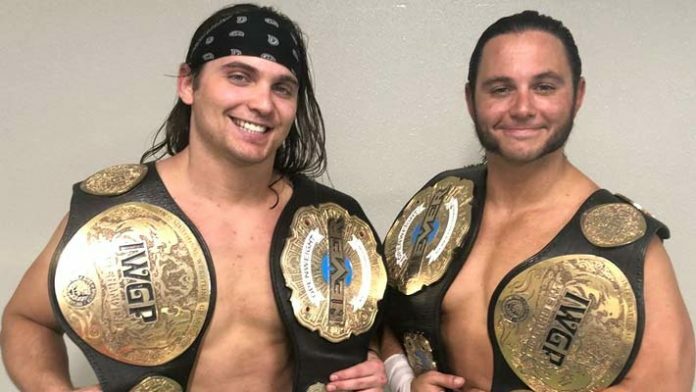 There has been a ton of speculation regarding IWGP Tag Team Champions The Young Bucks’ (Nick and Matt Jackson) professional wrestling futures. The pair are one of the most decorated tag teams of all time and have won championships all over the world. Their current contracts with Ring Of Honor (ROH) and New Japan Pro Wrestling (NJPW) are set to expire at the end of the year, causing many to speculate as to whether or not they’re going to be WWE bound soon. He also noted that he doesn’t think The Young Bucks are the greatest tag team of all time, but said when their careers are all said and done the goal is to make that notion come true.